When Dr M Beena, MD of Vyttilla Mobility Hub, says she loves her job, you know she means it. From chasing members of Kerala’s notorious sand mafia at 3am to consoling people who’ve been evicted from their land and firmly opposing unnecessary college strikes, this IAS officer has done it all. One of the youngest persons to enter civil services, this MBBS graduate cleared both her prelims and mains in her very first attempt itself sans any external help. “I never thought it was necessary,” she says. “People say that you will need to go all the way to New Delhi, rather unnecessary,” she says. If that was not enough, she even stood first in the country for her final interview. “The interview really has nothing to do with how much you know. It is more about the way you think and respond. The selectors gauge how connected you are with the outside world,” she says. Today, after spending 12 years in civil service and 14 posts, Beena is still as passionate as a fresher about her job. She has handled everything from fisheries to roads and bridges to social empowerment and land and revenue. But the most satisfying were her district collector tenures. “When it comes to individual departments, you are looking at one particular area in-depth. But when you are a collector you are involved with everything. You are on your toes 24/7. In spite of all the pressure, at the end of the day it is the most satisfying post,” she beams. The former Ernakulam collector became an IAS officer and a doctor almost at the same time. “I had completed a year of my PG medicine in gynaecology by the time I cleared the UPSC exams. In fact, I wrote my PG entrance exams and IAS mains within a gap of three months,” she says. Her medical degree is definitely an advantage. “Your technical knowledge is hardly of any practical use. A hospital is a place with a lot of pain, where even the most powerful of people are vulnerable. When you are constantly dealing with a crowd like that, it helps you to become sensitive. This sensitivity helps a civil servant a lot,” she says. The profession, though has a downside, admits Beena. For instance, the Vallarpadom International Transhipment project hit a roadblock when got embroiled in human right violations and controversial land acquisitions. Beena was asked to sort out the mess. “The centre was threatening to withdraw the project due to the endless delay and unless it was sorted out we were at the risk of loosing the project,” she says. Though she managed to bring the project back on track within two months, it was a very trying period. “It was depressing for me. We were conducting talks daily. In the middle of it, my mother passed away and I had to come back to work in four days. That was a testing period, though at the end it was very rewarding experience,” she says. 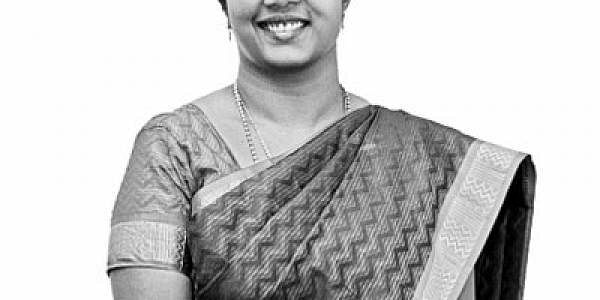 One of her sunshine moments came early in Beena’s career — her encounters with the sand mafia made Beena, who was then a sub-collector, a household name in Kerala. “They used to say when M Beena comes back the price of sand will go up,” she laughs. Though these trysts made Beena popular, it wasn’t easy business. “I would put my seven-month-old daughter to sleep and at 3am we would be pursuing the sand mafia in speed boats,” she recounts. In spite of the sacrifices she made, Beena enjoys every moment of her job. “If you can enjoy your work, there is nothing more you can ask from it,” she says.